By default, the page.studio template is inserted into your current theme. This page template overrides most of your theme's styles, so the page you see within the editor closely resembles the end result. If you'd like to use this template with other themes, follow these simple steps. 3. On the left side, under the Templates heading, click on Add a new template. 4. Create the template using the following format. 5. Replace all of the code within the new template with the following snippet. 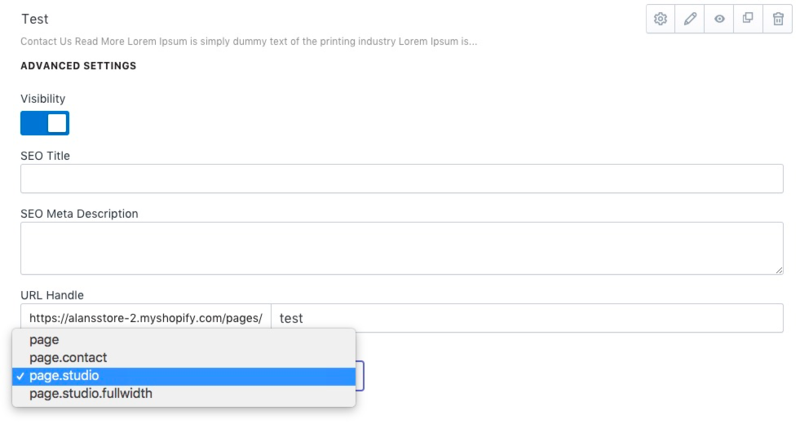 Now you'll be able to select this template from the Page Studio dashboard, and use it to construct beautiful pages!